MY BIRD STORE DOES NOT SELL CORN COB BEDDING Corn Cob bedding has been known to promote the growth of harmful mold which can cause aspergilllosis in birds. We recommend Carefresh Bedding. CLICK PICTURE FOR ADDITIONAL INFORMATION ON ASPERGILOSIS. Aspergillosis is an infectious disease ? but not a contagious one. It's infectious because the mold spores can grow in living animal tissue. However, aspergillosis is not considered contagious because we acquire it from our environment, not from each other. Like all molds, aspergillus needs dampness, warmth, and a food source to grow. It spreads by ejecting spores, microscopic tough-skinned seed-like structures, into the air. PLEASE DO NOT USE CORN COB BEDDING. 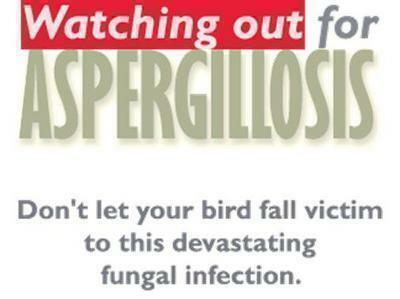 If we're not careful, the very environment in which our house birds live can become a breeding ground for aspergillus. Notify me when CORN COB BEDDING is in stock.